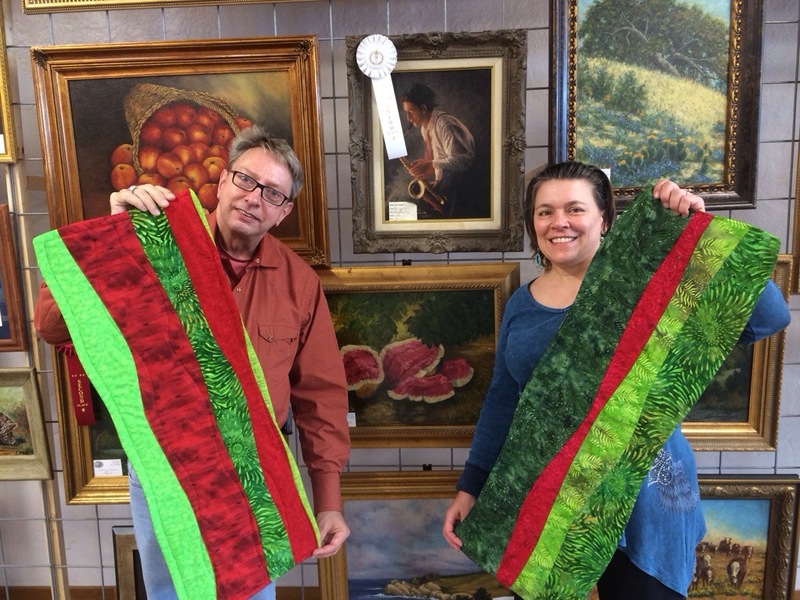 John and I completed our freeform table runners this past Saturday. Carol had to leave before finishing and we will finish it up later this week. She picked out some amazing colors of yellow, pinks, oranges and green. No two table runners ever come out the same because every strip you cut is curvy and done as you are inspired in the moment. John and I went with colors we can use during the great Watermelon Month of June here in Luling, Texas. Some might say these are Christmas colors. But, here in Luling we know better. Previous Previous post: Wonder tape makes for professional looking pillowcase finishes. Next Next post: My Insights on Color Theory and Why CMYK Rules my Universe.